Blogging is a way of life for me. I started blogging in 2004, long before people had real interest in blogs and bloggers. My first blog was part diary part storytelling which as a TV and magazine writer I cannot do without. Being used to writing articles that are assigned to me by editors or executive producer, I relish that I could write anything and everything I fancied. 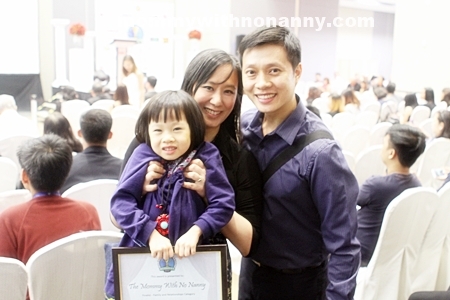 I started Mommy With No Nanny last January 2013. 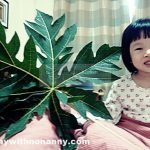 Driven by the need to document my firstborn baby’s many firsts, I created Mommy With No Nanny and fused my 5 other blogs into this one blog. 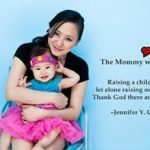 Last September, I was recovering from a personal crisis, when I received word from my friend Edel that she nominated MommyWithNoNanny to the Philippine Blog Awards. 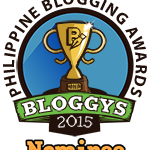 It is indeed an honor to be nominated and voted as a finalist in the Bloggys 2015. 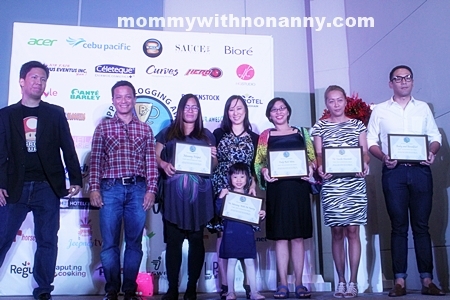 There are a total of 17 categories and The Mommy With No Nanny was shortlisted as a finalist in the Family and Relationships category along with TeachWithJoy, TrulyBlessedMom, VanillaSkyMom, Pehpot.ph, Babyandbreakfast.ph, Mommywanders.com and Gianrufin.wordpress.com. 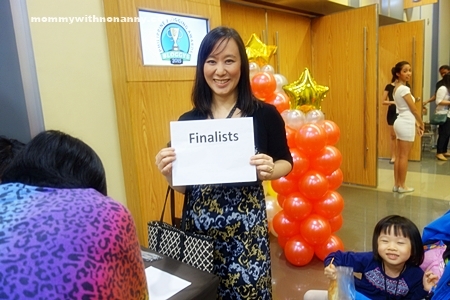 I did not expect to be in the finals as there was a long line of deserving bloggers in this category. I want to thank all the Bloggys judges including Wilson Lee Flores, John Neri, Janette Toral, Donald Lim and Maria Ressa. 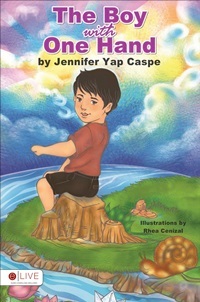 Thanks also to Essays.ph, spearheaded by Paul Agabin, Cris Shiela Agabin and Clarice Reyes. 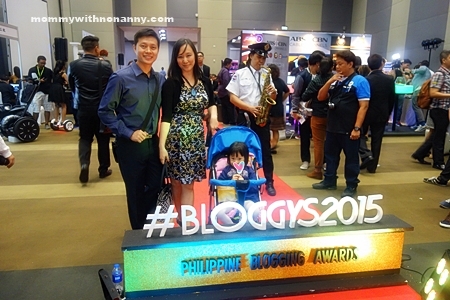 I attended the Bloggys Gala night at the SM Aura last November 21 with Michael and Mishca. It was a long registration line. I got to this table and saw this sign. 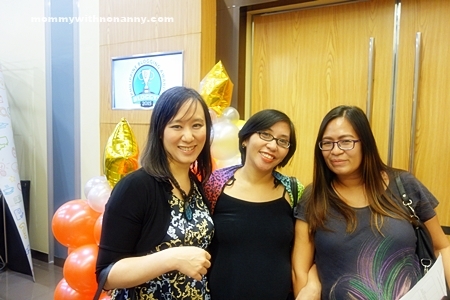 It was great to see fellow mommy bloggers and finalists Tina Rodriguez and Pehpot Pineda. Tina’s due to give birth on December 2015 and Pehpot on February 2016. 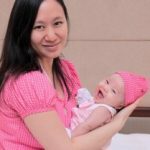 I was supposed to give birth on January had I not had a miscarriage last September. What were the odds that our babies were due on December, January and February? On stage with Family and Relationship finalists. 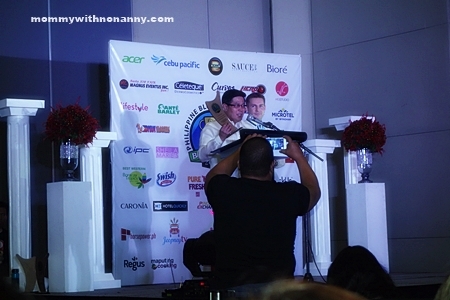 The event was hosted by Maputing Cooking’s Chris Urbano (maputingcooking.com). Chris, an Australian national who amazed us all with his fluency in Tagalog. 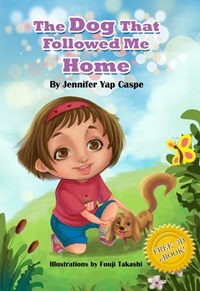 The overall winner for this category was Joy T. Mendoza of teachwithjoy.com, a great blog about parenting and homeschooling. People’s Choice winner was cure4mondays.blogspot.com. Mishca would not allow me to go on stage alone! My award is her award, of course! The representative of Bro. Eli Soriano received his award for Controversyextraordinary.com who was the People’s Choice winner for Society and Politics. Over-all champion of the Bloggys is food blog Pepper.ph. Family picture after going down the stage. 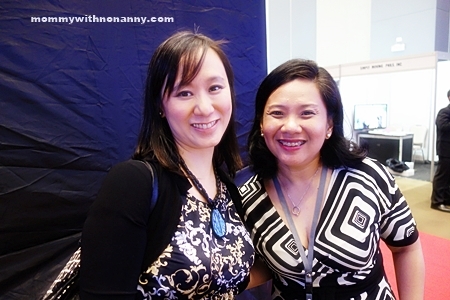 . .
With Health Junkie’s Tonette Nicolas who featured our Bibliorganics Products (Proteq Natural Toothpaste and Wink Organic Feminine Pads) in her famous blog. 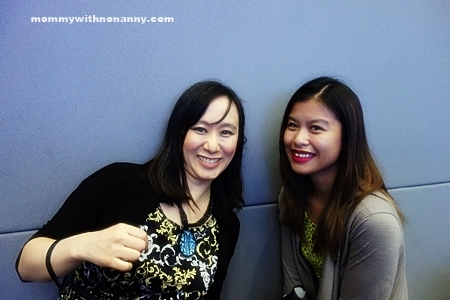 Finally met super fab Ramiel of Essays.ph who personally emailed all the Bloggys finalists and winners! Mishca at ABS-CBN’s Lifestyle Channel Booth. . . 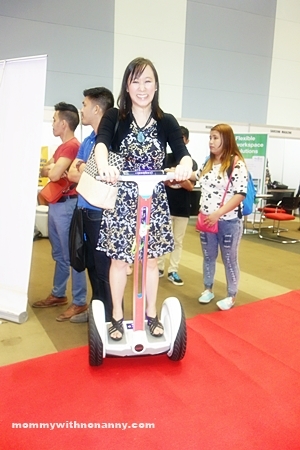 Segue was one of the sponsors. The child in me could not pass this up. . . Mahirap pala ma-control! I could not keep my balance because I was carrying a big bag! Screaming all the way! Hahaha. 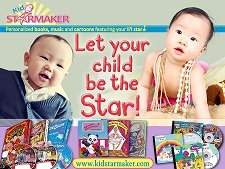 . .
Congratulations to all the nominees, finalists and winners! 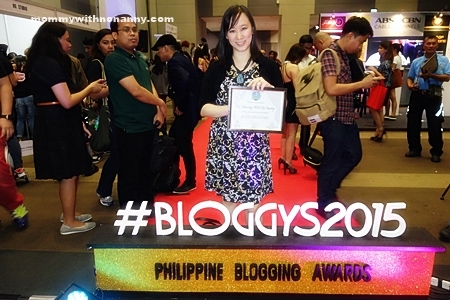 It was indeed a special night for the Philippine blogging community.